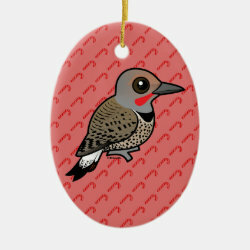 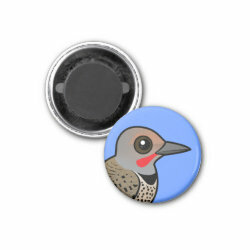 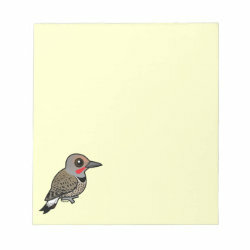 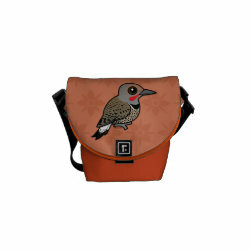 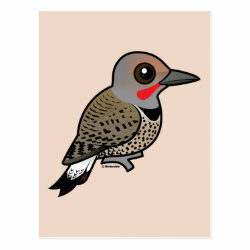 Northern Flickers are medium-sized woodpeckers found in North America. 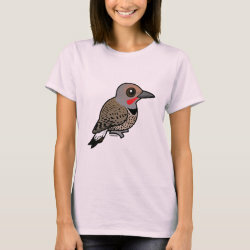 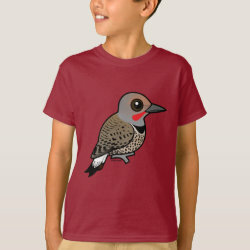 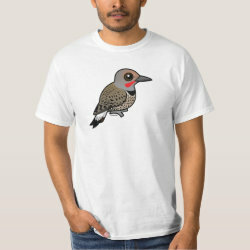 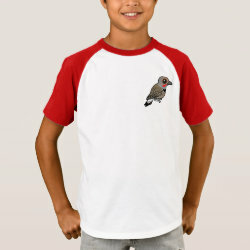 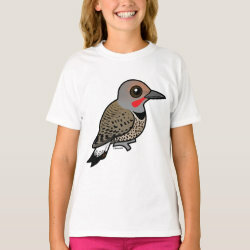 Flickers in the western part of the range are usually of the red-shafted subspecies, like this cute cartoon Birdorable bird. 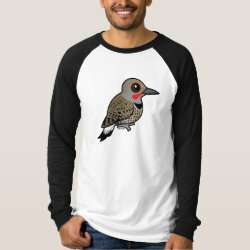 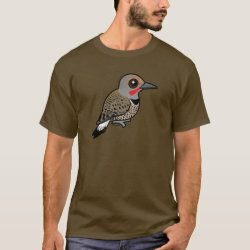 Their yellow-shafted cousins live in eastern parts of the flicker's range.